With a background in news reporting, Stacy has provided insight on handling cases that have received unwanted media attention. With more than a decade working in national media, she specializes in confronting and diffusing negative media stories and narratives. 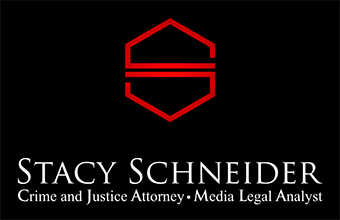 As a former working journalist (Stacy was a news reporter for the CBS affiliate in Savannah, Georgia prior to attending law school), Stacy operates in conjunction with the media to answer questions, define legal issues and liabilities, and provide expert legal analysis on issues impacting her clients. Stacy advises her clients on appearing before prosecutors, law enforcement agents, government agencies, and Grand Juries. She has negotiated dozens of immunity and cooperation agreements to protect her clients from the dangers of possible prosecution or from making statements against their penal interest. Stacy is the former Chair of the Connecticut Bar Association Media Law Committee and hosted the Bar’s Media Law Conference to teach lawyers how to prepare and present their cases in the media and how to effectively talk with reporters about their clients and cases.